Who are your cheerleaders? The importance of a support team, starting with YOU! A cheerleader is someone who is supporting you on your journey to clean eating and overall health & fitness. Who are yours? Who is supporting you, cheering you on? Who is out there emailing you ideas to try? inviting you to a workout, a hike, a walk? Who is always telling you that you are looking leaner? Who is asking how your journey is going? In order to succeed we need to have at least 1 or 2 main cheerleaders to help us keep on going when the tough gets going. What if you don’t have any other cheerleaders? I’m sure you do and just don’t realize it! In order for them to cheer they need to know what your goals are so they CAN cheer you on! Share your goals with someone today & ask for there support! A cheerleader might be a co-worker you ask to help you make good choices when you go out to eat. Or a parent you call and share your goals with. A cheerleader might be your own brain who instead of giving you any negative feedback, you decide today I will talk to myself in a positive way that will push me to keep going forward- have a serious talk with yourself- I’m dead serious! If you don’t think you can accomplish your own goals, you WILL NOT! Tell yourself right now that you can do this, tell yourself your goals (out loud) & tell yourself that you need to keep pushing yourself when you feel like giving up. 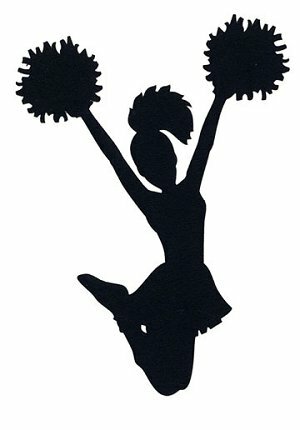 Once your own head is part of the cheerleader squad- you will begin to do amazing things! So what are your goals? How far have you come?! I want to be your cheerleader, but I too need to know what to cheer for! 🙂 Please share your goals with me in the comments below or feel free to email me at Fatmomtofitmom@gmail.com I’d love to personally coach you to you goals!